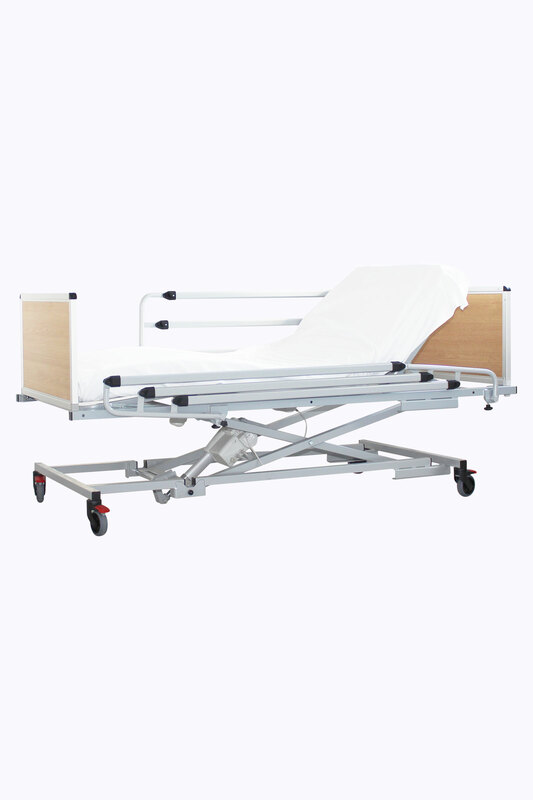 It is equipped with a translation raising backrest which aims to raise the patient in a secure way in order the best position while avoiding abdominal shear, and with a leg rest section with knee bending providing an optimized sitting comfort, reducing friction and preventing the patient from sliding down the bed. 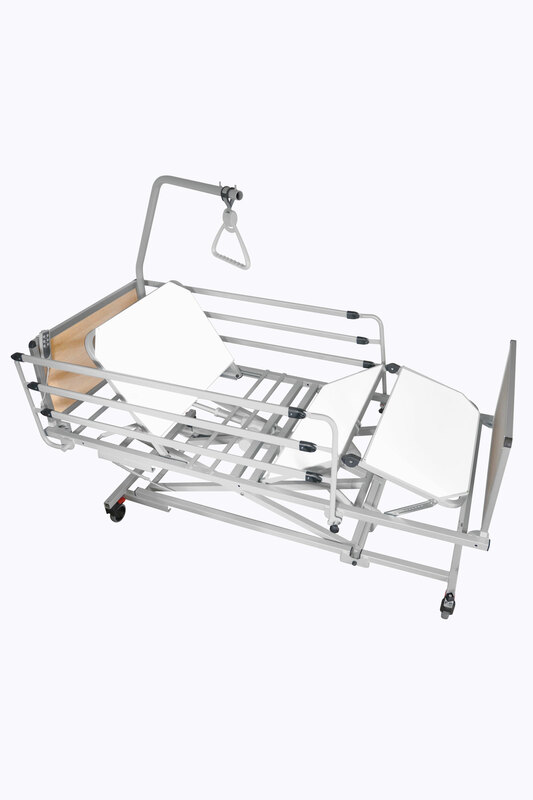 The main advantage of the CONVERTISS model is its ability to easily transition, with affordable kits, from a standard medical bed (90 cm width – 200 cm length) to a more specialized model (up to 120 cm width – 220 cm length) to fit different morphologies without purchasing a new medical bed. 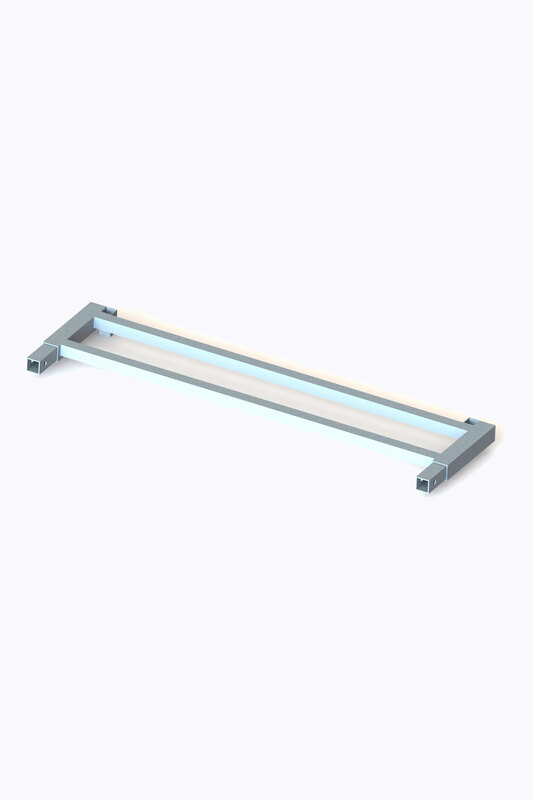 Its crosspieces kinematic allows a great range of movement from the highest to the lowest position, ranging from 21 cm to 81,5 cm. 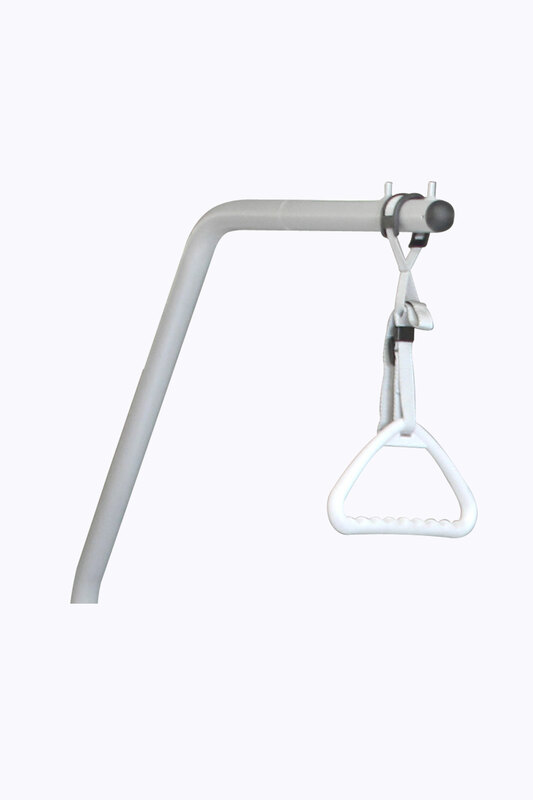 The lying surface is in PVC foam sheet for a fast decontamination and an easy maintenance while providing optimum comfort. 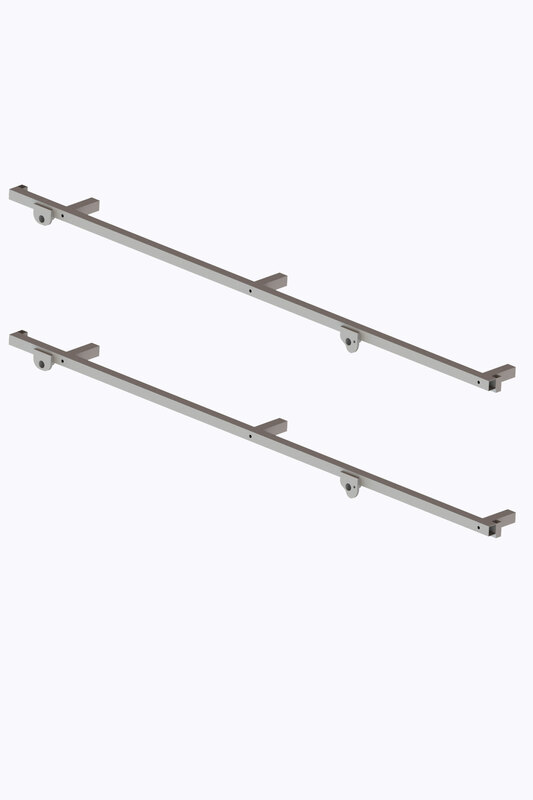 It is also available in 3 sleeping widths (90, 110, 120 cm) to fit all body types.